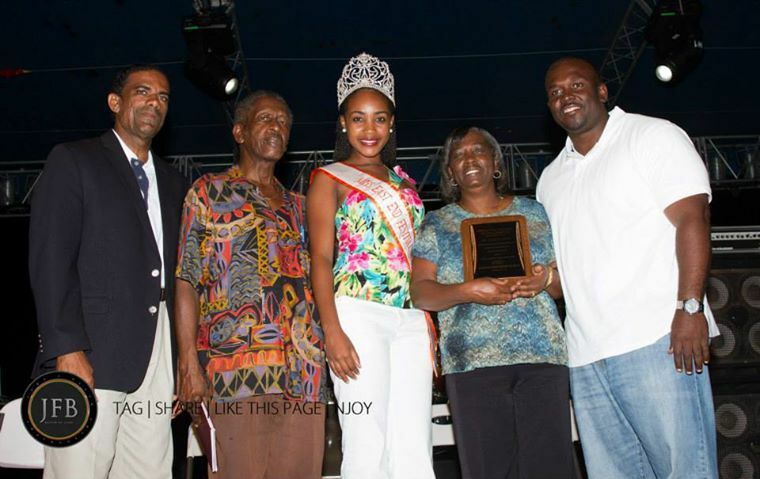 EAST END/LONG LOOK, Tortola, VI - “The East End/Long Look Committee presents this plaque to Ms Juliette Penn for her outstanding contribution to Festiville celebrations in East End/Long Look (EE/LL) and as a long standing committee member. Juliette Penn Festiville 2013.” Those were the words inscribed on the placque presented to the EE/LL Festiville 2013 honouree Ms Juliette Penn. Ms Penn was present with her family for the honouring at the opening ceremony last night August 5, 2013 and she complimented the committee for carrying on the legacy of working hard to ensure that the celebrations in the EE/LL communities continue at a very high level. “One thing I would like to happen in this village is that this village be drug free, smoke free and violence free. That is what I would want more than anything else for this East End/ Long Look Festiville village,” said Ms Penn. She also appealed to persons to have all the other activities including the stage show, Rise and Shine Tramp and parade be non-violent as she noted that the activities when held in the EE/LL area are always the biggest and best on the island. In 1979 Ms Penn became involved in the management of the East End/Long Look Festival with the role of assisting where there was a need. The whole aspect of Festival at that time was about planning fund raising activities, Queen competitions, rise and shine and the parade. “Ms Penn was a member of the East End/Long Look Management Committee from 1979 to 1986 and it was during that time on August Wednesday that the East End Long Look festival was taken on the beach at Beef Island on two occasions,” recalled Ms Arliene T. Penn who read a background to Ms Penn’s involvement in the history making of the festivals. 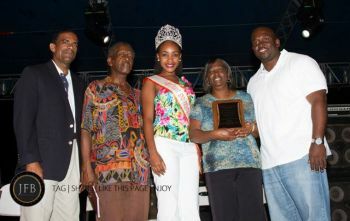 In addition to her years of dedicated service of the committee, she was a EE/LL Festival Queen in 1968. 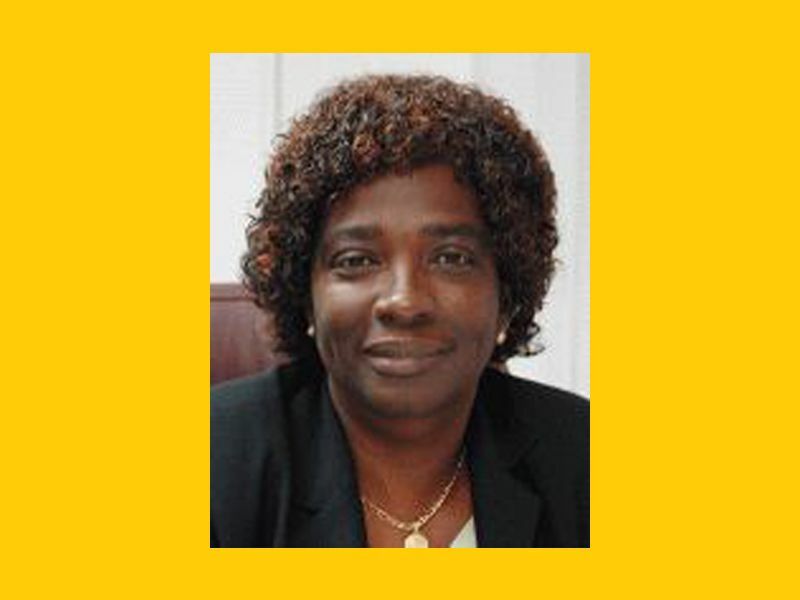 Today Ms Penn is employed as the Supervisor of Elections with the Government of the Virgin Islands. Responding to the honour, Ms Penn thanked the committee for having bestowed such an honour on her. The district representatives for the two communities, 7th and 8th Districts, Deputy Premier and Minister for Natural Rescources and Labour Dr the Honourable Kedrick D. Pickering and Honourable Marlon A. Penn were present at the ceremony. “There are some of the slavery tactics that remain in our community, that of divide and conquer,” said Hon. Penn. He said it is very evident that the communities are divided along several lines. We are being divided across economic lines, political lines and other lines." He noted that a lot of sweat and tears went into the development of the Territory and dividing and conquering as a people would not help it to get to that "next step". While the opening ceremony was poorly attended it is anticipated that the usual mammoth support will be realized at the remaining activities to be held in the area. Those activities include the rise and shine tramp tomorrow, Wednesday August 7, 2013 and the stage show on tonight August 6, 2013. What has see done for the festival lately? read the citation about her contribution assuming you could read!!! While they in there talking about violence and drug free festival, the drug pushers from long look over by the community centre selling drugs to the young men them, the young girls under the center steps and round the center in the dark corners with a set a little boys and young men jack up. As a parent of teenagers I was so shocked an ashamed to see how low festival bring our young people, that I cried. My teenagers say they ashamed of their peers and what they saw last night, they did not want to stick around some were even drinking from the cups the guys had. As parents we also need to teach our young girls how to conduct themselves in public and demand respect from these young men having them jacking you up against a wall groping you is not respect, it tells them you are easy meat. RESPECT YOURSELF YOUNG LADIES. And my teenagers are three boys and two girls, ages 14 to 17. Why are you people so simple minded? Hon. Penn had nothing to do with the naming of the village after Ms. Penn, which was totally a committee decission. You people need to get a life and stop making everything political. for real keep it safe but you cannot stop the smoking aunty Juliette!! Is this a penn connection, marlon and juliette or better yet, favourtism?